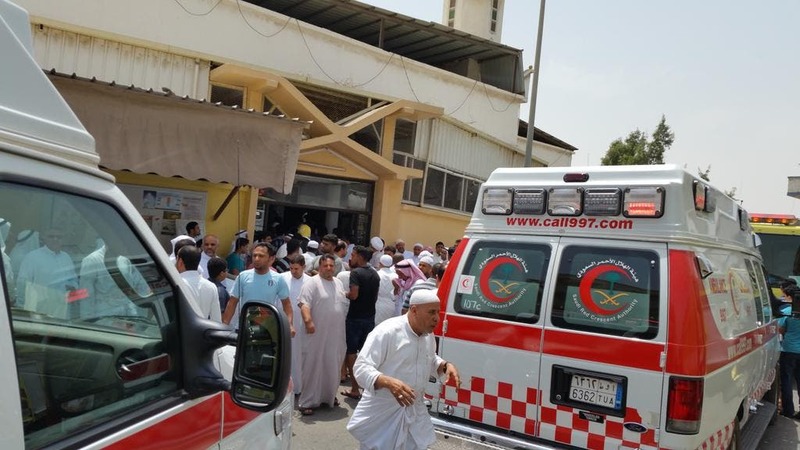 A suicide bomber blew himself up during Friday prayers at a mosque in the village of al-Qadeeh in eastern Saudi Arabia, killing at least 21 and wounding 81 others, reported Al Arabiya News Channel. 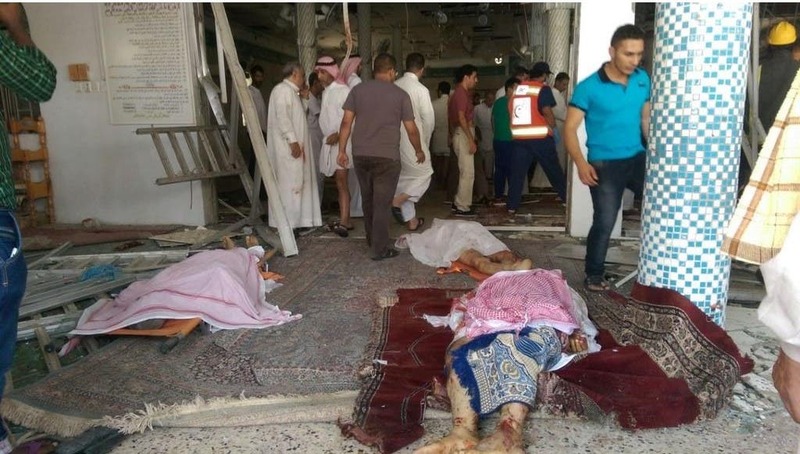 “A suicide bomber detonated explosives he hid under his clothes as people performed their Friday prayers at the Imam Ali Ibn Abi Taleb mosque in the village of al-Qadeeh, located in the Qatif province,” the Saudi interior ministry said in a statement. The explosion killed the suicide bomber and a number of those performing their prayers and injured several others, the ministry added. “We were doing the first part of the prayers when we heard the blast,” worshipper Kamal Jaafar Hassan told Reuters by telephone from the scene. “Relevant authorities transferred those injured to hospitals. The authorities have taken the (required) measures to (address) the terrorist attack and investigate it,” it also said. “This terrorist crime confirms the intention to spread controversy,” spokesmen for the Saudi Ministry of Interior Maj. Gen. Mansour Al Turki told Al Arabiya. “What we care about now is that we stop the masterminds behind this cowardly act and arrest them,” he added. 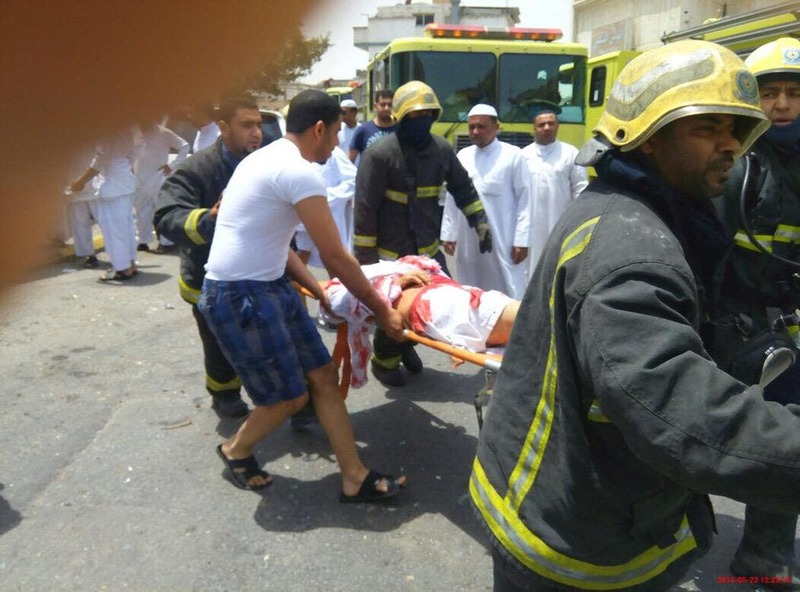 Those injured by the explosion were transferred to the Qatif Central Hospital and Aramco Hospital for treatment. According to health officials, at least 40 people have been hospitalized, and an additional 12 in critical condition. Twenty nine people have been already discharged. The village of al-Qadeeh, 500,000 m2, is northwest of the Qatif province and it’s about one mile away from Qatif. The General Secretariat of the Council of Senior Scholars condemned the “hideous” attack which aims to harm the unity of the Saudi people and to destabilize the kingdom. It accused “criminal terrorists with foreign agendas” of being behind the attack, adding that the assaulters acted out of spite to Saudi Arabia’s performance of its religious, Arab and Islamic duties. “God has prevented enemies (of the kingdom from achieving their aims) and so have our citizens and our brave security forces who scarified themselves to defend the religion’s sanctities and the country’s security and stability,” the secretary general added. The kingdom’s secretariat general of the supreme judicial council also condemned the attack saying it aims to incite divisions. “This malicious criminal act has nothing to do with Islam or religion. (This attack) must alarm us to the (fact) that there are hidden hands who aim to harm the country’s security and incite divisions and sectarianism,” the council’s secretary general Salman bin Mohammed al-Nashwan told Al-Arabiya. “What we need most at this (phase) is to unite our ranks and stand behind our leaders and prevent foreign parties from achieving their (hideous) aims,” he added. In April, Saudi Arabia said it was on high alert for possible attacks on oil installations or shopping malls. In Yemen, a bomb at a Houthi mosque in the capital Sanaa on Friday was claimed by the Islamic State of Iraq and Syria (ISIS).